Gary, Mandy, Carly, Gav, Callum & Nikita would like to welcome you to The Cottage Inn. 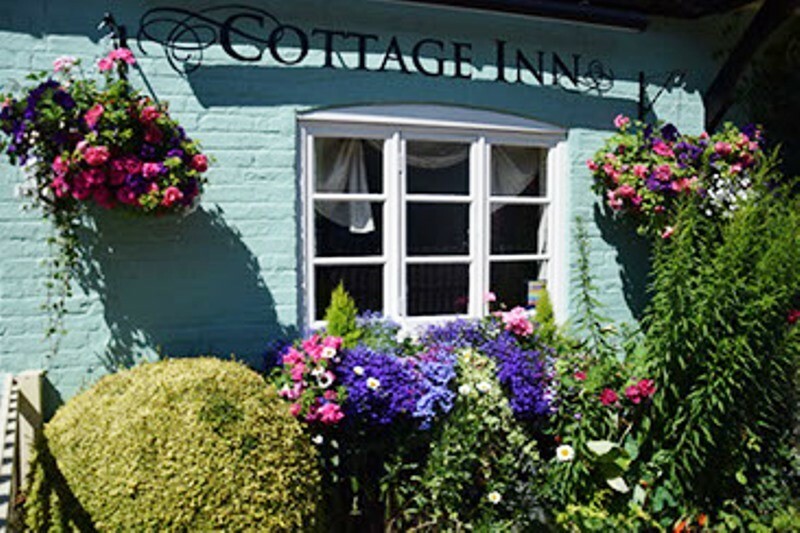 Located in the tranquil village of Upper Bucklebury in Berkshire, The Cottage Inn is a warm, friendly bar and restaurant with a great atmosphere, serving great ales and good home cooked food. With outside patio areas, an animal enclosure and a paddock with lots of room for the kids to run around and play, The Cottage Inn is the ideal place to while away an afternoon or evening with family or friends. We also have Sky Sports and BT Sport for your enjoyment throughout the year. The Cottage Inn at Upper Bucklebury has won a Best Community Pub award again for 2017! This follows on from our 2016 award and previously in 2011 and 2012. We have also retained our 5 Star Hygiene Rating!